1. 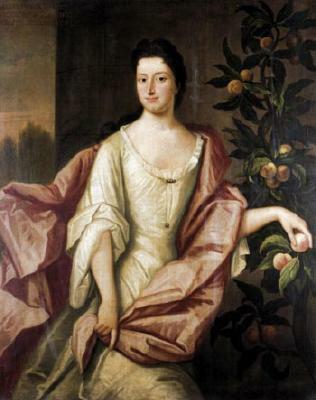 Anna BURNET, daughter of Archbishop Alexander BURNET (1614-1684) and Elizabeth FLEMING ( - ), married Alexander ELPHINSTONE on [Julian] 10 September 1667. She married Patrick 3rd MURRAY on 20 August 1674. 2. Archbishop Alexander BURNET, son of James BURNET and Christian DUNDAS, was born in 1614. He was a Clergyman. He died in 1684. He was buried in St Salvator's Chapel. He married Elizabeth FLEMING. 3. Elizabeth FLEMING was the daughter of George FLEMING of Kilconquhar, Fife. 4. James BURNET, son of William BURNET of Barns and Margaret STEWART, was a Clergyman. He appeared in the census. He appeared in the census. He celebrated his Bar Mitzvah. He married Christian DUNDAS. 6. George FLEMING of Kilconquhar, Fife has few details recorded about him.